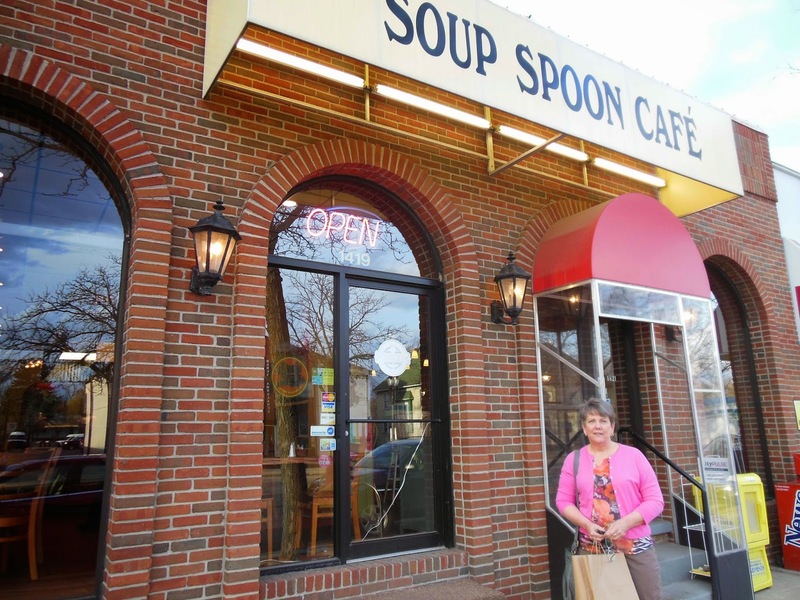 The place: The Soup Spoon, a hangout for young urbanites, hipster types, and 4 creative ladies of a certain age. 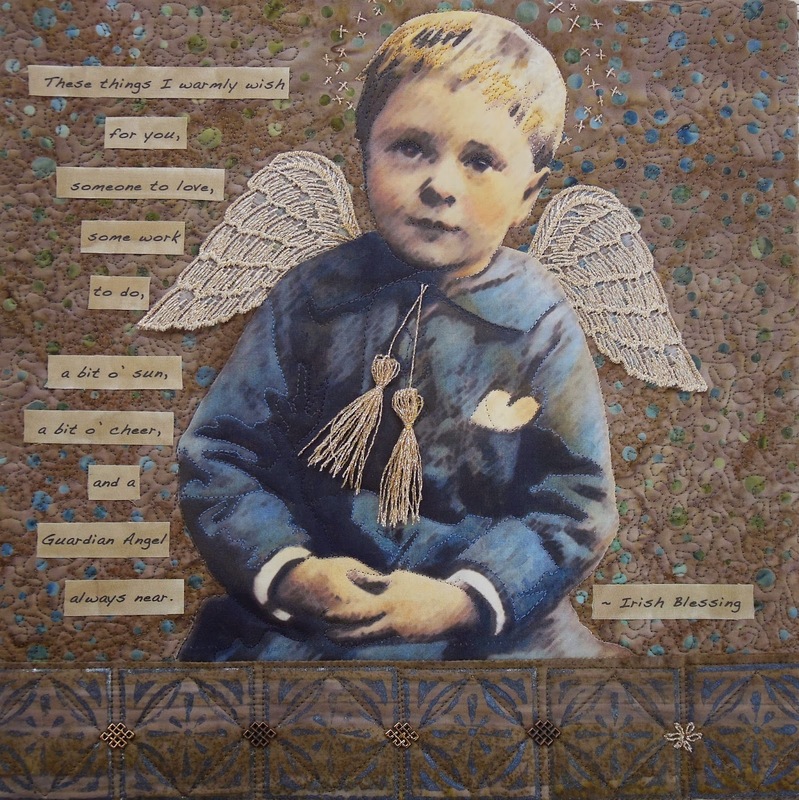 The occasion: Our latest quilt challenge reveal party – The Photo Opportunity Challenge! 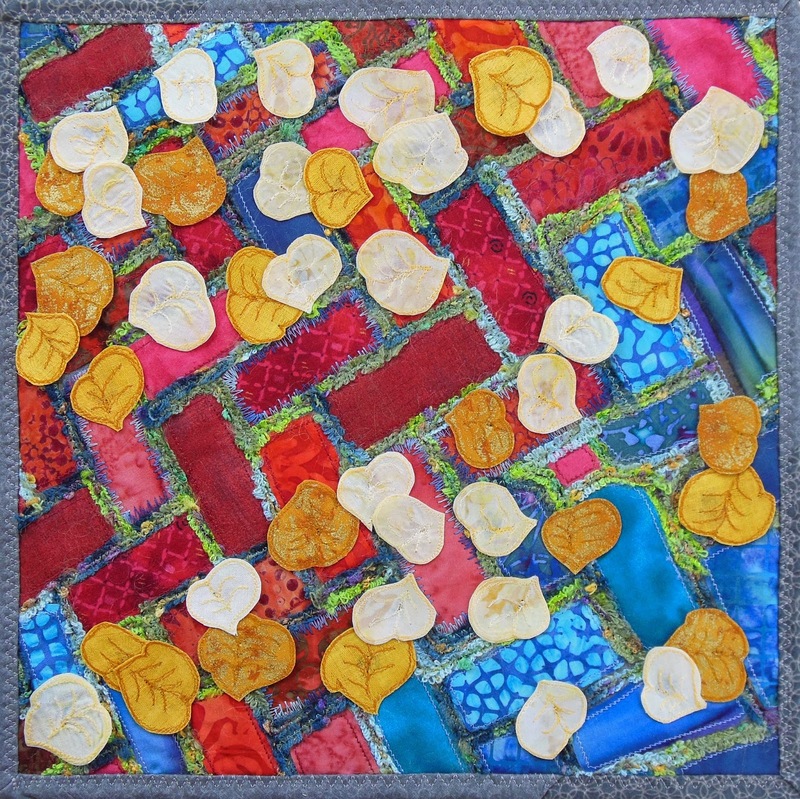 First on the menu is Candy’s quilt, a color saturated feast for the eyes, based on a photo she took of the cobblestone walkway in front of Boston’s Paul Revere statue. Her inspiration came from the random pattern of leaves scattered over the stones. 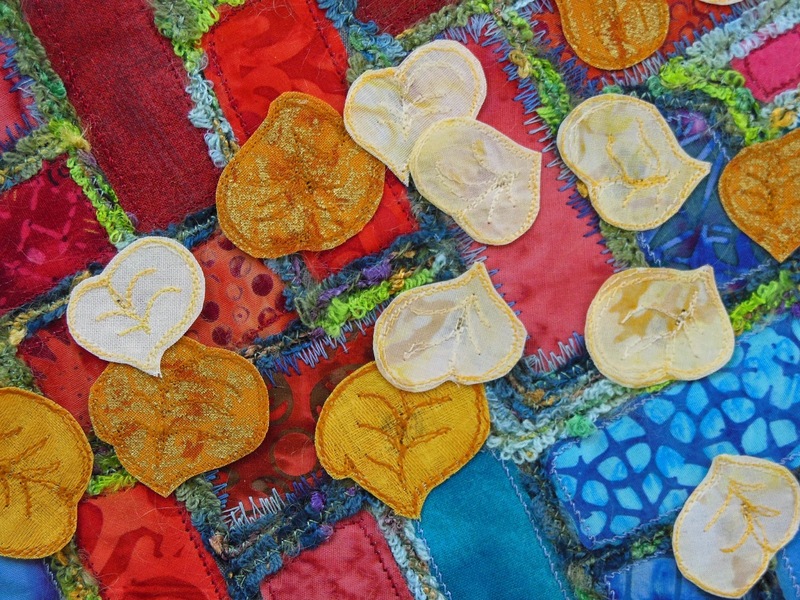 To create the leaves, Candy used fabric stiffener to give the shapes added crispness. She then dropped the leaves onto the quilt, securing them wherever they landed. Variegated yarn was couched between the colorful cobblestones for a moss-like look. Brenda’s quilt brings us some liquid refreshment (her specialty 😉 Brenda and Harley’s home on Scenic Lake was host to a week of wedding festivities last summer when one of their sons got married. Every July 4th is cause for a great party at the lake but this photo was taken just two days before Kyle and Dana took their vows on July 6th, 2013. The quilt label on the back helps commemorate the day. Check back again in two months for a look at where our next challenge theme, ‘The Silk Road’, takes us!